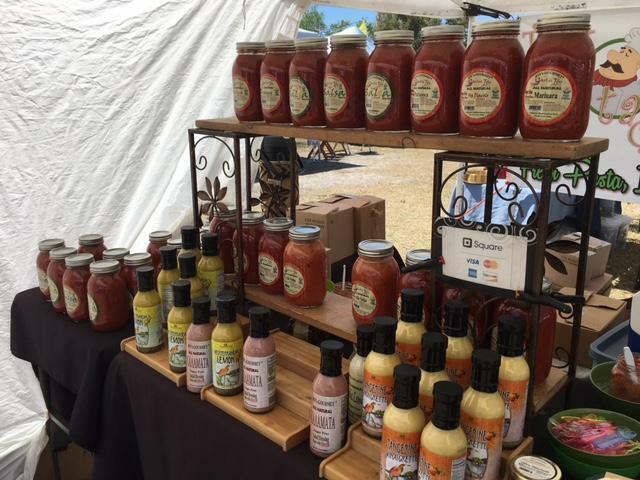 The Phillippi Farmhouse Market re-opens for its 9th season on WEDNESDAY, OCTOBER 4! Sarasota’s only mid-week Farmers Market is open every Wednesday, October through the month of April from 9:00 a.m. until 2:00 p.m. and it’s FREE with ample parking. Autumn Fuller will wow you with her macaron ice cream sandwiches. Both the macarons and the ice cream are made fresh each Wednesday. Mike Bacon of Brewburger’s, winner of Venice’s chili cook off and the favorite burger and craft beer spot in Venice, is offering hamburgers and sandwiches with all the fixings. Melissa Erlenbach brings her SALTY SISTERS lotions, essential oils, and soaps in very artistic packaging. Be sure to check it out. Marjan Zuan has developed FLEX BAR, a nutritious, healthy granola bar available at the market and other locations around Sarasota. These are the kind of treats that are good for you. Enjoy a taste. Ashley Gray will be roasting nuts, which not only smell wonderful but taste even better. Soooo good! Spencer Collins and wife will delight you with the variety of their culinary fresh-grown herbs at Spencer Company. Music Wednesday starts off with the ever-popular Siesta John playing your favorite tunes, and, yes, you can even get up and dance! Please check out the vendor list for your favorite returning vendors. And, don’t forget The Humane Society of Sarasota County will be bringing their adorable, adoptable dogs and kitties. Give these loveable creatures a good home. Adopting a deserving dog and/or cat is a gift you give yourself!